I started following the Skora bandwagon well over a year ago now, before they’d even released any of their shoes. Heck, they probably weren’t even close to having designed one yet. 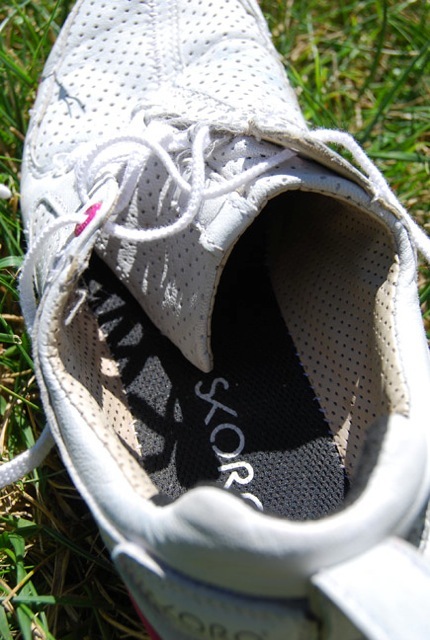 For months, with their mysterious, snippety teaser ads, Skora promised me the World’s Best Minimalist Running Shoe. I was so enthralled by the idea of a brand new shoe company starting their entire business on the platform of minimalist running, that I immediately inquired as to whether I could test a pair. It took an excruciatingly long time for that package to finally come, but it was worth the wait (pretty packaging, too, I might add – I kept the magnetic-closure box for storage). I imagine that’s a little like how the owners of Skora also felt earlier this year, on the day they released the first two models of the line. Those two models are the Base and the Form, released early in Spring for men, and followed too much later by the women’s models over the Summer. The Base model features a stretch mesh upper and cross-over strap closure, while the Form features asymmetrical lacing and is made of goatskin leather. I chose the Form model because it was the only modern-day running shoe I’d ever heard of that was made of leather, and I was curious about how the material would mix with running. I mean, not only does it have this goatskin upper, but the liner inside the shoe is leather as well, sheep skin. It’s like running inside of a wooly goat. Too macabre? Sorry. But still…leather liner? That’s crazy talk! As I talk more about in a minute, the goatskin was one of the many things about this shoe that I thought I could predict as soon as I saw a photo, but that definitely surprised me in the end. 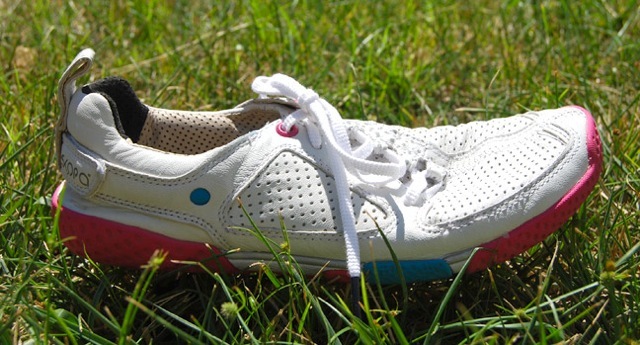 The color of this shoe reminded me of an Easter bunny so I photographed it in the grass to entertain myself. You’ve read some of my other interviews. My feet are like blocks of wood. They’re built wide and strong, and they only got wider once I started running barefoot (which is the way it’s supposed to be). 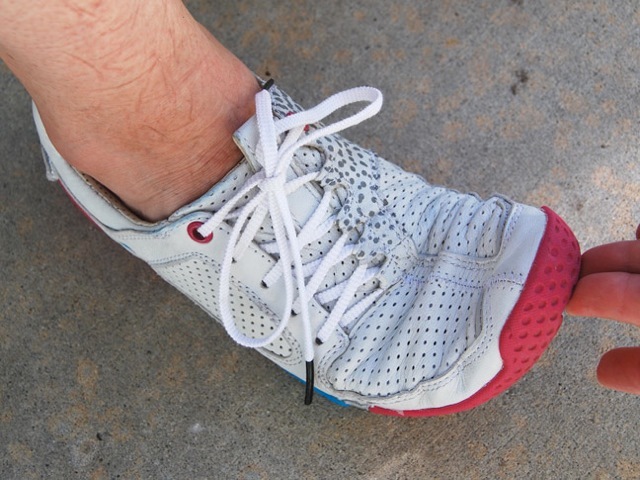 Any shoe that wants to rightfully call itself “minimalist” absolutely, positively MUST nurture your foot at its very widest, and leave room for a runner’s toes to do their job. Please try to ignore the weird pattern pressed into my leg. I took this photo right after kneeling in the grass to take the photos above. And also I’m really pasty. When I took one look at this shoe I thought for sure I was going to waste five paragraphs of this review in lecture-mode about proper shoe width. But the shoe was not too narrow for my foot. And over time, the upper got all buttery-soft and adapted to the shape of my foot, in the awesome way that…wait for it…only leather can. Sorry, vegan friends. I think there’s still a little room for improvement in this avenue, though. Even though the width of this shoe isn’t much different than a lot of my other road shoes (i.e. the NB Minimus 00 Road, or the Merrell Dash Glove), the Form, like these others, could do with a wide-width version and give a little more toe room to us runners with naturally wide feet. Yeah, total surprise here. Even though there’s tons of little holes all over the upper, I thought for sure my feet were going to die in these shoes. I hate having hot feet. Not to mention that leather liner that’s sure to be impossible to get my sweaty foot out of at the end of a run. I was actually shocked to find out that the leather is no stuffier than any other typical running shoe. 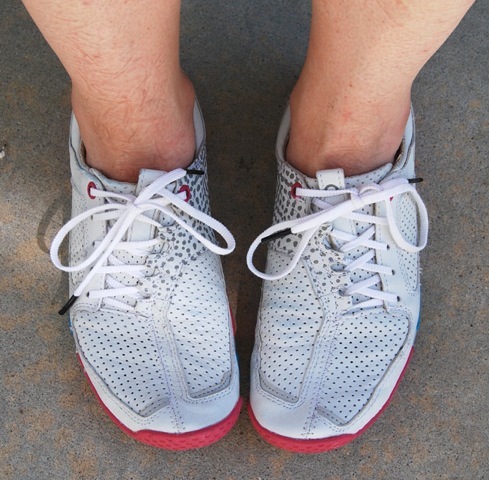 In fact, the leather actually absorbs sweat and keeps your feet from getting nasty and blistery inside. And even after about 30-40 sweaty summer miles in these things, the shoes still smell like a new leather couch. My Vibrams never smelled so sweet after even half that mileage! The only down side to the upper construction is the tongue. I love the burrito-style, asymmetrical look and function of the overlapping tongue. Only problem is that the overlapped part digs into my foot where it connects near the base of my pinky toe. This is the only part of the shoe that isn’t 110% comfy. And I don’t wear socks with this shoe because it feels too tight. To be fair, the same thing happens with the NB 00 Road. It is what it is. Not really. 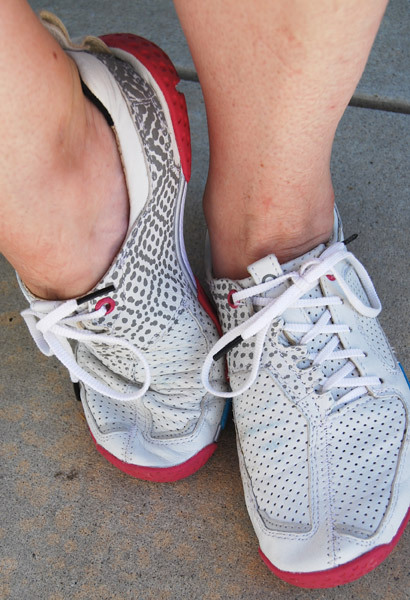 This is a review so I have to be honest…aside from the pretty freaking cool properties of the leather upper, there isn’t a whole lot that’s different about this shoe, as compared to its competitors in the marketplace. There are some things it does great, and others that it just toes the line on. For example, the sole: it’s pretty darn good. It’s more flexible than the NB 00 Road and the Dash Glove, for sure. But I guess I had hoped for something even more bendy, something closer to what VIVOBAREFOOT puts out. There isn’t a ton of stack height on this shoe, comparatively, but the sole curves up toward the upper on the outsides. When I’m running on roads I can really feel the outside edge of this sole digging into my 5th metatarsal. Sometimes it doesn’t bother me, but other times, my feet feel sore afterward. Could be a possible downside to having a wider foot. I should also mention here that the second I got these I ripped the insole out. If there is a removable insole on a shoe, I almost always do this. It fit me better that way, and I could actually feel the ground. Could be that if the insole was in I would feel the edges less. 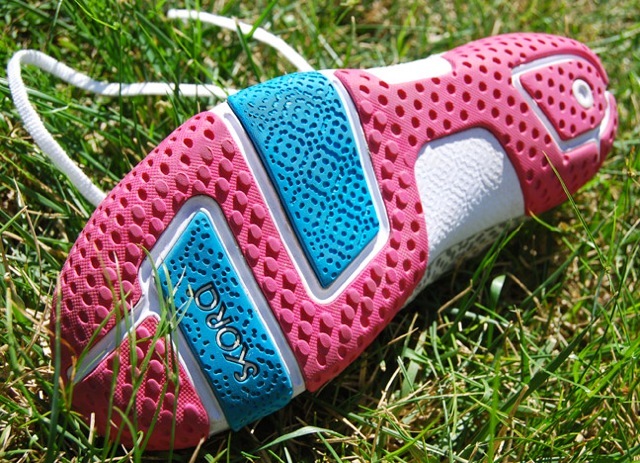 The Form is touted as a zero-drop shoe, and I certainly don’t doubt it. But there’s this “feature” of the sole, if you will, where the center of the heel has a separated pod that gives it this feel of being “lifted.” I don’t know how else to explain it. It’s curious to me, and I’m not sure what it’s there for. Perhaps it is to add to the rounded feel of the sole, and to make it more flexible. 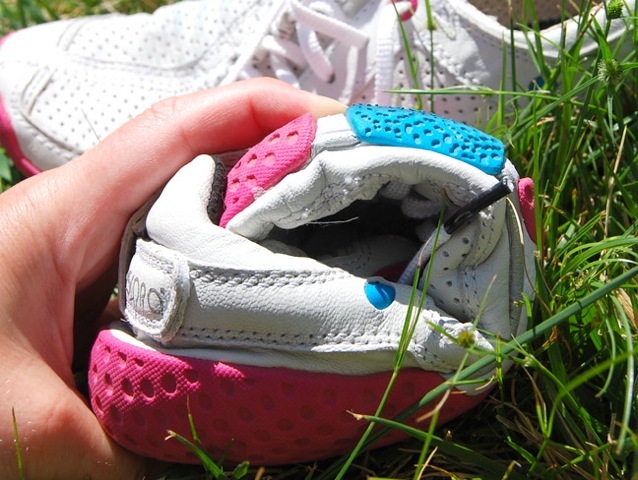 But I guess it’s neither here nor there, because the heel of any zero-drop shoe means nothing to me once I’m running. What didn’t surprise me about this shoe was its performance. As promised, Skora put out a solid minimalist road shoe on the first try, and I gotta respect that. Sticky and protective, the Form lets me feel the ground but gives me enough of a buffer to stave off fatigue for awhile during a long run. 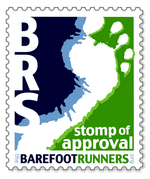 If you’re looking for superior ground-feel, this is no Luna Sandal or Vibram SeeYa. But I would probably bring this shoe to a distance road race. It’s decent on trail too, if you find yourself on one, as long as it doesn’t require a ton of traction. For obvious reasons, I didn’t love that Skora made the decision to release the men’s models for six months before the women’s. Additionally, the women’s model release came with an addition to men’s colors, so they have four cool colorways to the women’s two. I can’t even tell the difference between the men’s and women’s shoe, except the men’s are probably wider, so in hindsight I suppose I could have just requested a pair of them instead. I didn’t love the color choices on the women’s side – as is often true, we only get to choose between pink and blue. But in this case the pink choice is actually mostly white, and somewhat takes on the look of a 1970’s bowling shoe. 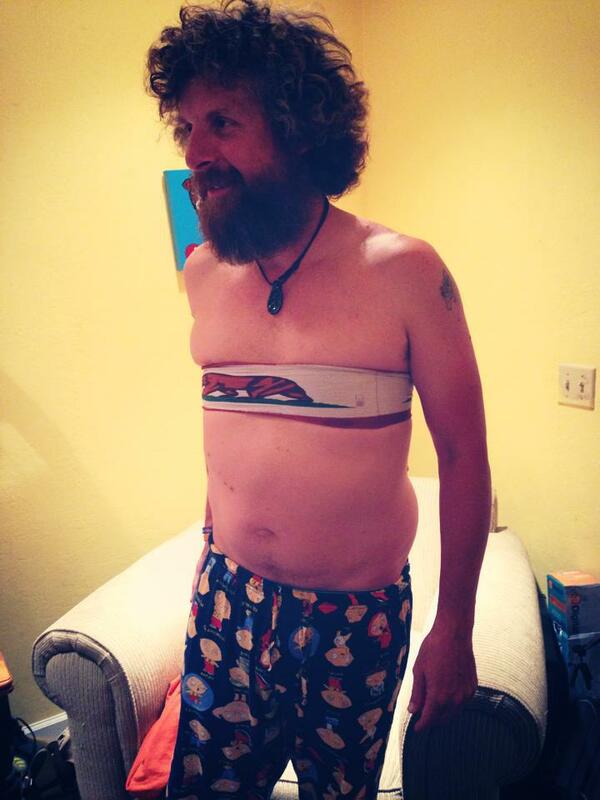 Not that there’s anything wrong with that, really – retro is in, baby! But I’ve never really been a fan of white shoes, so I actually had trouble figuring out what to wear with these. Yeah, I wrote that. Deal with it. 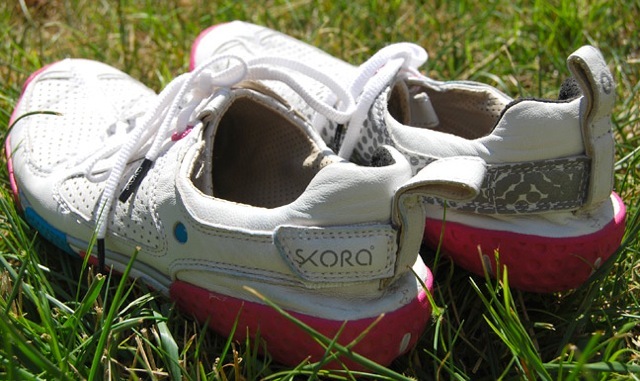 The long-awaited Skora Form is truly a beautiful specimen of the minimalist road shoe, by a brave newborn company that was willing to take risks to offer something just a little different. I’m definitely a fan. With its buttery goatskin leather and slick design, the shoe can be taken to a marathon in the morning, and out for beers under some jeans later. The Form leaves a little room for improvement with its slightly narrow toe box, but it covers all the other minimalist shoe basics by being flexible, zero-drop and anatomically designed. 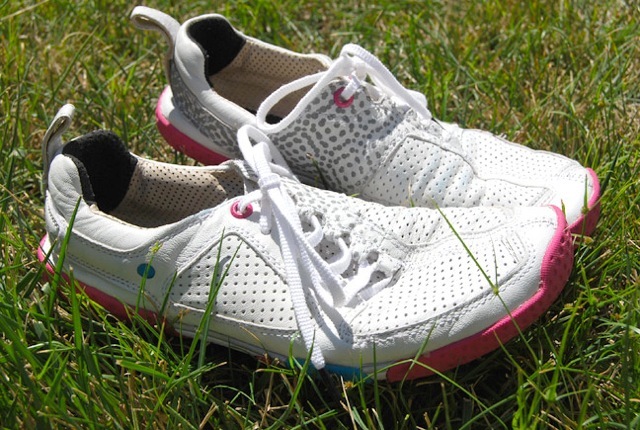 It is a solid shoe that will hold up well to the demands of many minimalist runners. I should also mention that the Skora Form comes pretty true to size, or possibly a little large, comparatively. A size 8 fit me great, where with most shoes I’m more comfortable jumping to an 8.5. If you’ve clicked on any of my links you probably noticed the price is higher than you might be used to – $185 – but that’s all because of the goatskin leather. If you like this shoe, the added durability of the high quality material will, in all probability, pay for itself in the end. For those of you who do not wear leather shoes, the Base model is designed on the same sole as the Form, but it uses vegan-friendly mesh fabrics instead of goatskin. 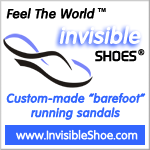 Categories: product reviews | Tags: minimalist running shoe, road shoes, skora, Skora Form | Permalink. Nice review! And wow.. these really do look like the Rolls Royce of minimalist running..